I’m really trying to keep a good spin on the whole melting situation. We are now in what is called the “dog days” of summer. I have no idea where that phrase originated and I’m too lazy right now to find out. I pride myself on being a prancing encyclopedia of useless knowledge, but not tonight. Before school gets into full swing, I wanted one last stab at preserving summer favorites. I have enough tomatoes to make Ouiser Boudreaux proud. Now I just need the funny hat. Now it’s time to do something with a load of peaches that Mona got from Chilton county. Everyone in these parts know that Chilton county peaches are the best you can find in Alabama. I’m assuming since Georgia, the peach capital, is right next door, we have to find the next best thing within our borders. Chilton County is it. 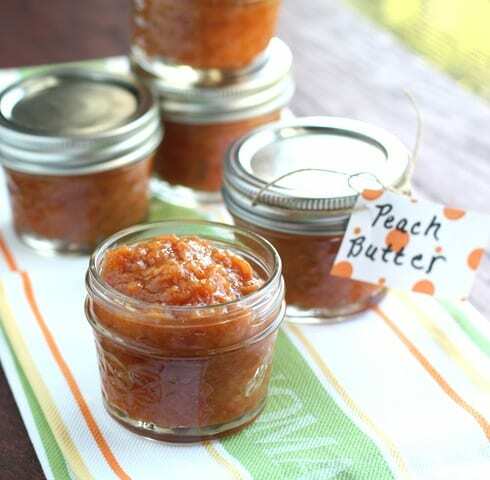 Because I’m not the biggest fan of all the sugar involved in jams and preserves, I eat a lot of fruit butter, which is basically slow cooked, puree’d fruit with a lot less sugar. 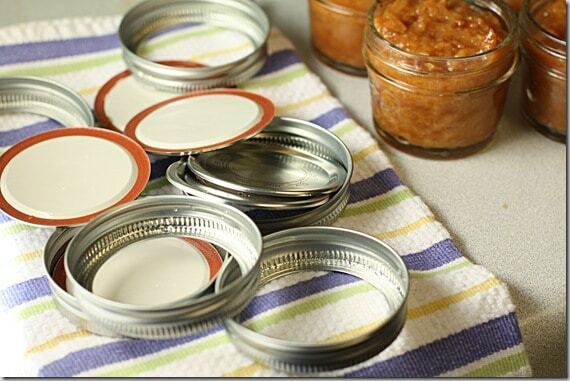 I’ve gone through quite a few pumpkin butter jars with my oatmeal last winter. I thought about trying some peach butter. 1. 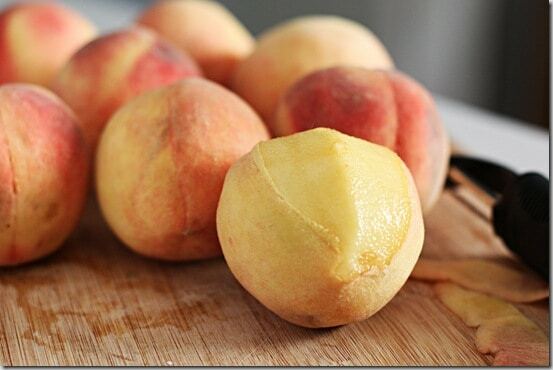 Peel, slice and cut peaches. 2. 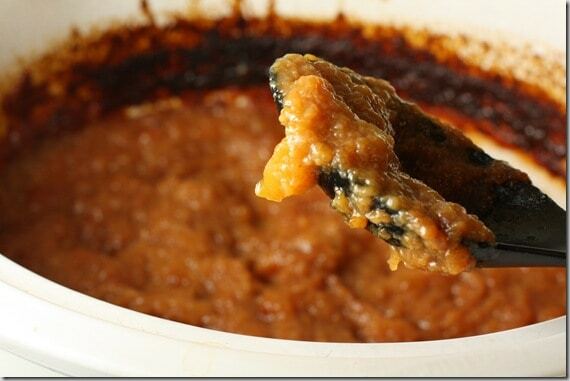 Cook about 10 minutes with a 1 cup of water, 1cup of sugar or brown sugar and a pinch of cinnamon. Then use an immersion blender or regular blender to puree’ until desired consistency. It will be be very thin at this point. 3. Cook 10-12 hours on LOW in a slow cooker, with the lid heavily vented OR use a splatter screen. They do not need to steam. I placed two butter knives across each end of the pot, THEN placed the lid on top so they do not steam, but it keeps in splatters. 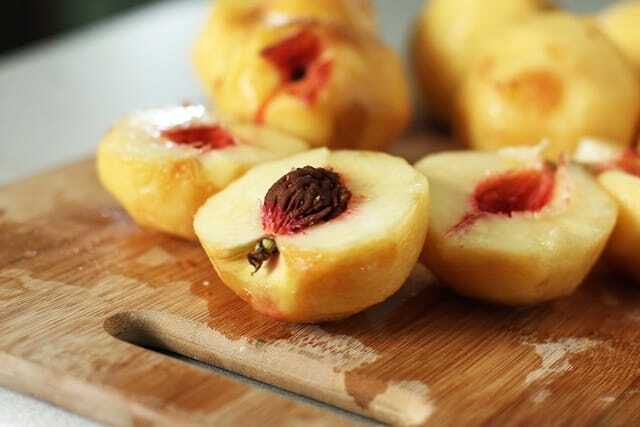 The consistency should be thick but still maintain some peach bits. It should stay on the spoon when you dip the spoon in. 4. Boil lids and seals and seal jars. Within a couple of hours, you should hear them sealing. Enjoy all year on toast, oatmeal, biscuits, pancakes, waffles, etc. I plan to use this in oat bars in place of preserves. Summer is on the way out. I keep telling myself that, but I know it will be a few weeks before those first fall breezes come through the ridges where I live. And then I’ll be a little sad that summer is gone and fall only lasts for a few short weeks. But at least I’ll have some peach butter for those first few bowls of oatmeal on cool mornings. how many peaches or cups of peaches did you use per cup of sugar? how many jars did the recipe make? 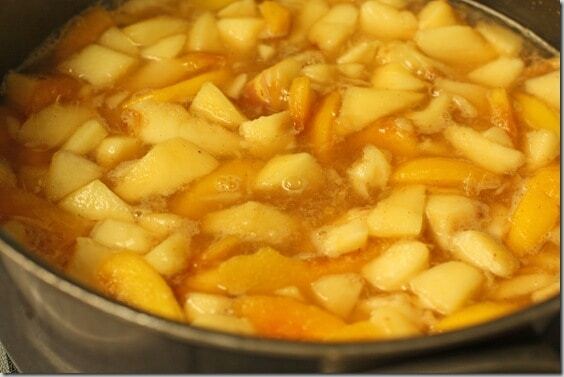 I used 8 peaches, 1 cup of brown sugar. This made 6 half-pint jars. This sounds wonderful. I would also like to know the quantity of peaches you started with. I don’t know if it’s my crock pot or that I added rum to this recipe, but it definitely burnt while it was on low over night (10:30-6:00). Between steps 3 and 4 I got confusedOnce the jars are filled you have to process for 2 hours? That seems like a long time. Hi, I don’t have canning jars at the moment but lots of peaches, is it possible to freeze the butter? I have never tried this. The only concern might be a change in consistency when thawed. Could you substitute other fruit for the peaches? I’m getting plums with our CSA this week and need to use them.